Day 11 – The dreaded Germanic Mörder-bot. This drawing stems from an idea I had for an art show a few years ago that never happened. Due to scheduling conflicts the show was cancelled and my work was never finished. 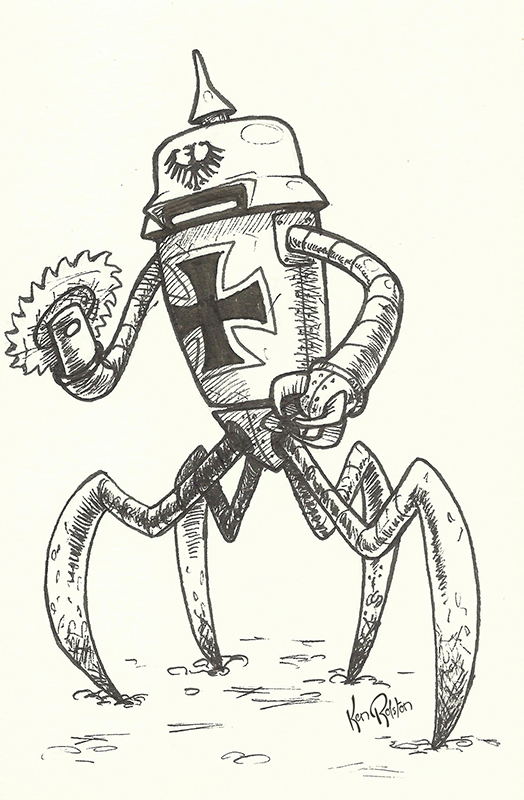 But I always loved the idea of a Germanic inspired robot. I think this could be a fun series of images to develop.